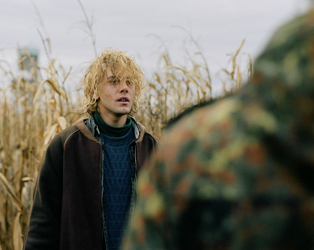 In Tom at the Farm, following the death of his lover Guillaume, Tom (Xavier Dolan) travels to rural Québec for the funeral, to the family farm where mother Agathe remains ignorant of her deceased son’s sexuality. Guillaume’s brother Francis, however, was well aware of the truth, and employs a mixture of physical and psychological coercion to ensure that Tom does not enlighten Agathe. The arrival of Sara, pretending to be the dead man’s girlfriend, only complicates matters further. Tom at the Farm opens EXCLUSIVELY at the IFI this Friday, April 4th. The precociously talented Xavier Dolan has garnered a phenomenal amount of awards and acclaim at the age of just 25. To celebrate his latest film opening exclusively at the IFI, we have a box set of his previous films to give away, including I Killed My Mother, Heartbeats and Laurence Anyways. To win this prize, just answer the following question before midday this Friday, April 4th. Q. What age is Xavier Dolan?